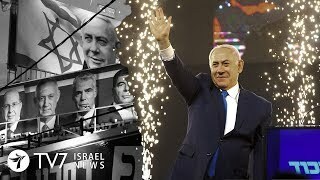 The breathless headlines that the reelection in Israel of far right prime minister Binyamin Netanyahu of the fascist Likud Party has doomed the two state solution are wrong. The two state solution was doomed by the late 1990s, as Israel doubled its squatters in the Palestinian West Bank after the 1993 Oslo Accords. That is, it doubled the number of squatters over the years -- it had promised in the accords to withdraw entirely from the West Bank and let the Palestinians have a state there and in Gaza. Or let them have a statelet would be more accurate. In the years since 2000, as the Israeli far right regularly dominated the government and coddled what Rashid Khalidi has called a "settler-industrial complex," the idea of a Palestinian state became a sick joke. Americans kept invoking it, pretending that Israel had not become worse than Apartheid South Africa or the Jim Crow Deep South, but it is just empty rhetoric. The reality is Apartheid or a one-state solution. Given US perfidy on the Palestine issue and European pusillanimity, a decades-long Apartheid looms. The Palestinians don't have a state. The Palestine Authority is not a state. It does not control land, air or water. It is so little a state that aliens can waltz into its territory and with impunity, steal the property of the people over which it is supposed to have authority. The squatters routinely engage in sabotage of Palestinian orchards, pulling down trees and trying to bankrupt them. They are armed, while the Palestinians are not, and also routinely take potshots at the hapless Palestinians. Sooner or later the militant squatters will start a civil war in the West Bank with the aim of driving the Palestinians out entirely, creating a new wave of millions of refugees. "the Russian Soviet Federative Socialist Republic (a precursor to the USSR) issued a decree that resulted in the mass denaturalization of former citizens of Imperial Russia. Rendered stateless, Russian refugees were left without legal protection, representation or valid travel documents." The million Russian "emigre's" were the first instance of massive denaturalization in twentieth century history. I would argue that the denaturalization of Jews, the stripping from them of their citizenship, was what allowed for the Holocaust, in which the Nazis murdered 6 million of them. Stateless people don't have recourse to authorities or the courts in upholding their basic rights. They are made into legal flotsam. Ironically, the 1917 promise by Britain to allow Jews to come to Mandate Palestine was invoked in the late 1930s when Hitler annexed the Sudetenland from Czechoslovakia and promptly denaturalized 100,000 formerly Czech Jews. It was hoped by many in the European Jewish community that those who had lost their citizenship and so become flying Dutchmen without national rights might be able to flee to British-ruled Palestine. But in 1936-1939 the Palestinians staged a revolt against harsh British colonial rule and the British project of displacing the Palestinians in favor of bringing in European Jews.